There are some nights when you just don’t have the pluck and energy to throw together a good meal. That is a fact of life. And that fact of life hit me hard on Sunday night when my husband and I drove home from a trip to Harrisburg, after having slept on an air mattress all night (“slept” is a generous term for the tossing and turning and propelling your partner into the air when you roll over on your side) and having hiked up and down a mountain earlier that day. We were exhausted and starving when we got home close to 6:30. It would have been all too tempting to just order Chinese food, but we had eaten out all weekend (ingredients like duck fat, bacon, and beer fondue come to find) and I was determined in my quasi-functioning state to throw together something of at least a little culinary merit. 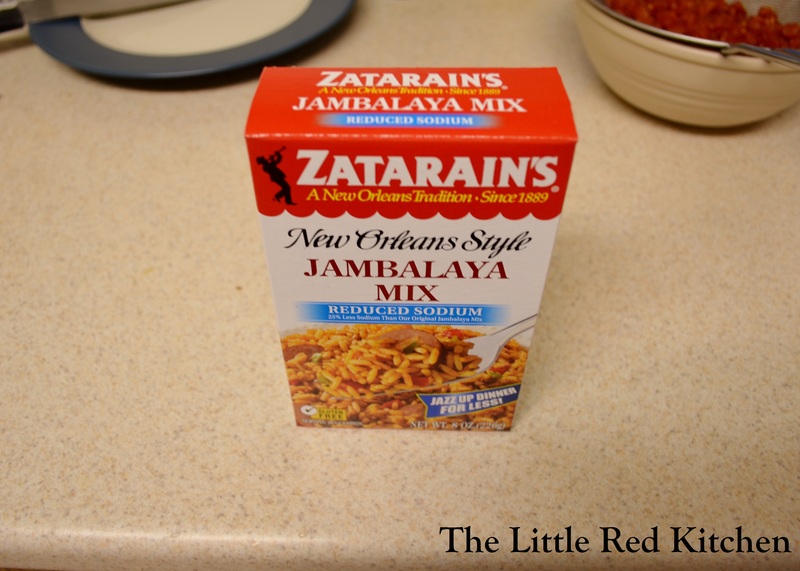 At this point, I eyed the Zatarain’s in the pantry. That’s IT! Seriously! Okay, now I’m not positive what yeast “extract” is, and caramel “color” doesn’t scream natural, but I was thoroughly impressed by how many things did scream natural on that list, and also how short it was. I was pretty excited to use it at this point, and knew that I could add a few things we had in the house to make it even better. 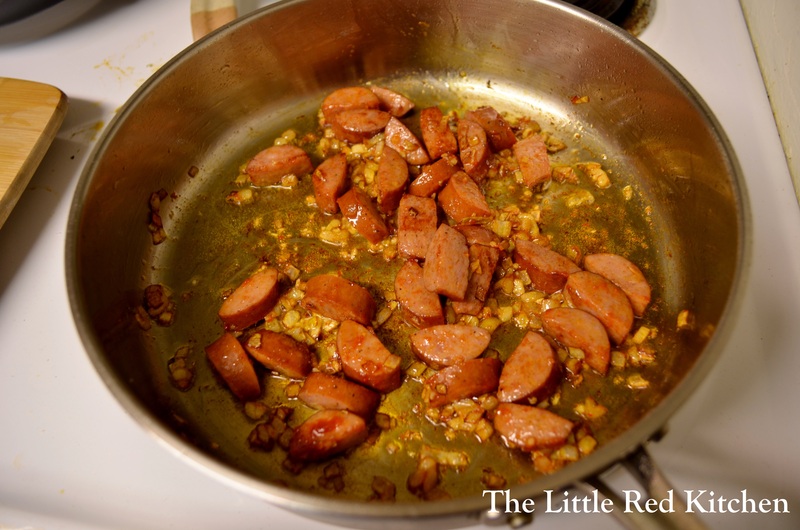 6-8 ounces of meat (Andouille sausage is obviously best. 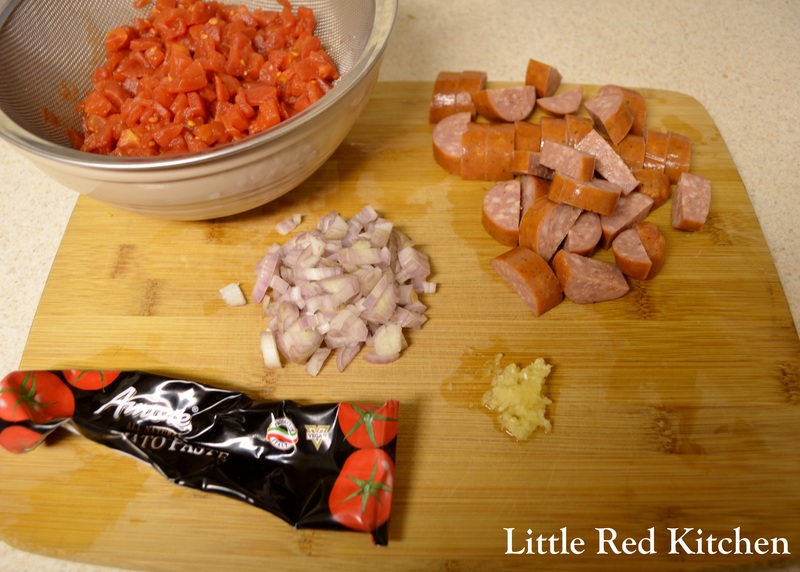 We used pre-cooked Johnsonville Polish Kielbasa, you can use chicken, chicken sausage for that matter, which is a favorite of ours, or even shrimp) If using sausage, halve longways then slice into half-inch thick slices. 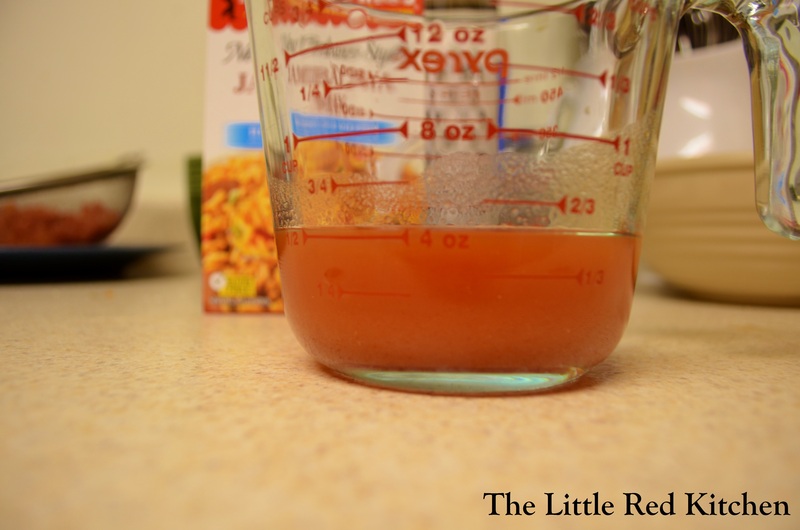 If using chicken, cut into 1.5-inch pieces. Heat the olive oil in a large skillet over medium-high heat for a few minutes, then add the onions and sauté for 3-5 minutes until they have started to soften (If they start to brown quickly, turn the heat down.) Next add the meat and continue to cook for another 3-5 minutes, until the meat does start to brown. 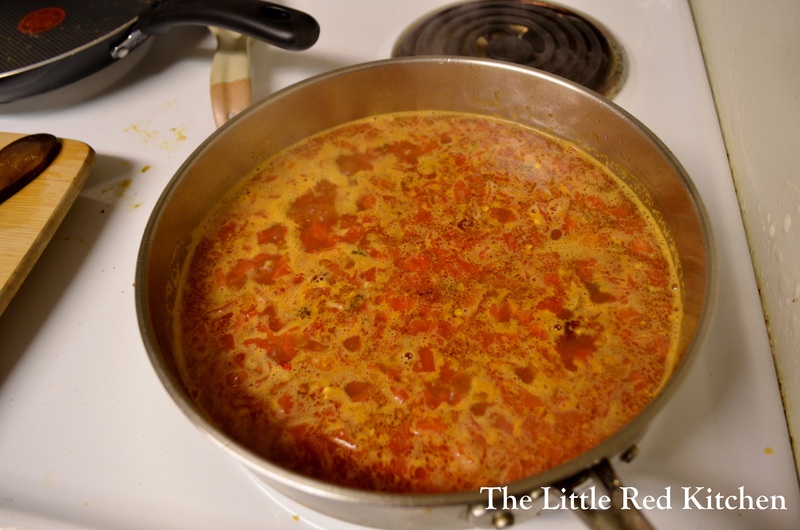 At this point, add the garlic and tomato paste and cook for 30 seconds, until the garlic is fragrant and the tomato paste has darkened slightly. Mmm. Starting to look good already. The box instructions say to use 2.5 cups of water. This proportion is spot on, but why use all water when we have this great can of diced tomatoes with juices that pack a ton of tomato flavor?? To looking like this (YUM)! If you use chicken, follow the same procedure. If you use shrimp, the box recommends adding the shrimp when there are 10 minutes of cooking time left, as shrimp cook up a lot faster, and I would heartily agree with the box. Notice I did not add any salt to this dish. Even though it’s low sodium, it definitely doesn’t need it. 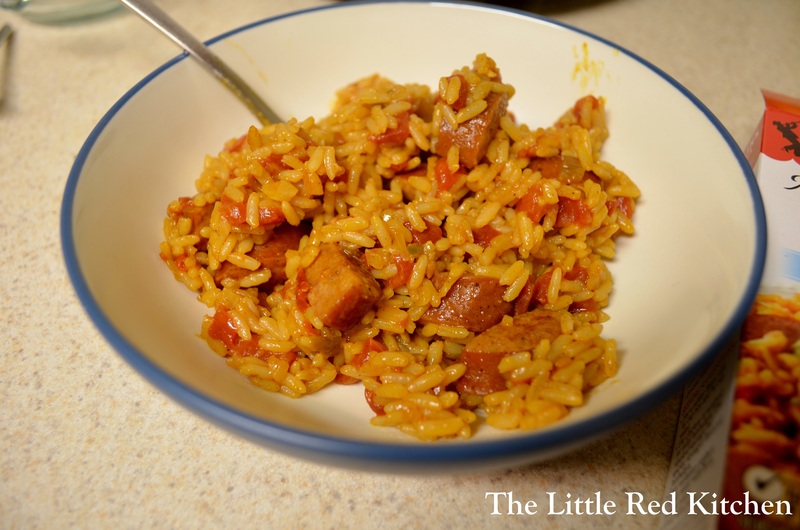 This meal was completely delicious, and I am already excited to experiment; maybe a Spanish rice mix with chorizo, or starting with plain rice and using my own Cajun spice mix. And, as I alluded with the meat, feel free to change up your add-ins. Add extra red and green peppers if you want, add more garlic, add frozen corn, do whatever you want that you think will taste great! 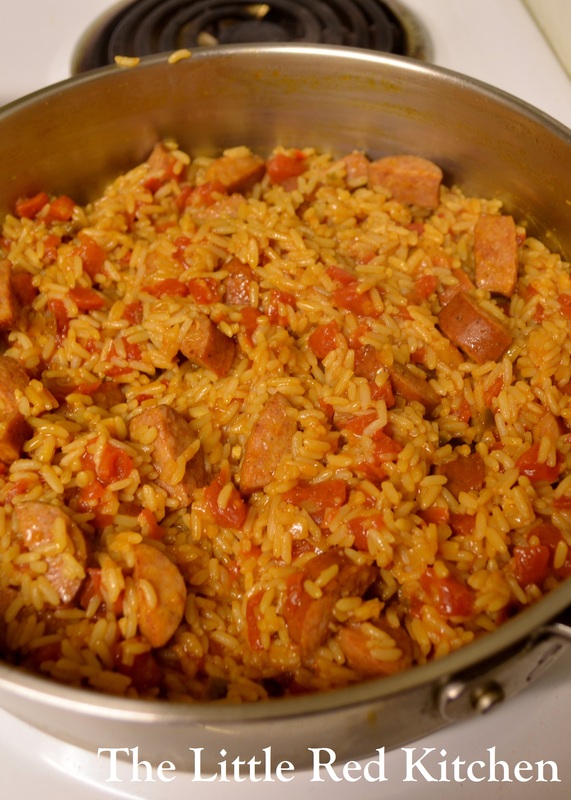 The whole point is to reap the benefits that a skillet meal has to offer; the rest is up to you!